Shingles can strike twice. Will the shingles vaccine help? No one who has experienced the burning, stabbing, painful misery of shingles wants to think about it again. But they should. Why? Because shingles can strike twice, or rarely, even a third time. A shingles vaccine can reduce the chances of a recurrence. The shingles vaccine can reduce the risk of recurrence. There’s some disagreement about how often recurrence occurs. In one study, researchers examined medical records of nearly 1,700 patients who had a documented case of shingles between 1996 and 2001. They found that more than 5% of these patients were treated for a second episode within an average of eight years. That’s about as likely as getting shingles in the first place if you’re age 60 or older. Other studies have shown the recurrence rate to be much lower. But the bottom line is the same: having shingles once doesn’t protect you from ever having it again. Shingles is caused by the same virus — the varicella zoster virus — that causes chickenpox. Once you have had chickenpox, the virus that caused it remains alive inside your nerves. It is inactive, but it can be reactivated later in life. This causes shingles. When the virus reactivates, the infected nerves, and the skin the nerves go to, become inflamed, causing a burning or stabbing pain. A few days later, when the virus reaches the skin, a rash of blisters appear along the affected nerve. The skin may be very sensitive, unable to tolerate even the lightest touch. Up to 10% of adults who get shingles experience long-term pain, even after the rash has healed completely. This condition is called post-herpetic neuralgia. It may last for months, or even years. And it can be debilitating. After causing shingles, the virus again goes “back to sleep” inside your nerves. But it can still flare up again. Your chances of getting shingles increase as you get older. The U.S. Centers for Disease Control and Prevention (CDC) recommends that adults age 60 and older get the shingles vaccine. 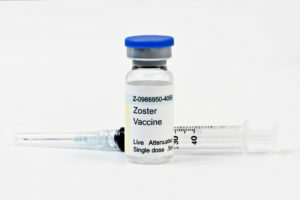 This is a one-time vaccine called Zostavax. Zostavax isn’t guaranteed protection against shingles. But in the large clinical trial that led to its approval by the FDA, the vaccine cut the risk of getting shingles by 51% and the risk of postherpetic neuralgia by 67%. Is it possible to experience a new rash while still recovering from the first outbreak (I am into my fifth week with lots of discomfort)? The first rash of blisters has healed. They do not allow anyone just under 60 to just beable to get the shot without showing a cronic condition of Shingles to get the Virus Shot. 60 and after and no issue to get the Virus Shot. There is a saying when you get the shot, “they want to see the whites of your eyes when they give you the shot”. This is due to the Virus Shot comes frozen and it has a shelf life of 1/2 hour after it is defrosted. So you have to be there to get the shot in real time. No messing around. I got the Virus Shot. I thought, this is great, I will never have Shingles again. So Wrong. Just 4 days ago I had 2 Silver Dollar Bright Red Spots on my lower left side just above my waist. You always first think, ‘heat rash’. Then as the night goes on and morning arrives the rash is itching and starts to be a bit painful. By that following night and into the next morning you are doubled over with pain and the itch is over the top. I was thankful I had about 1/8th of a tube of the 1% Cream left from June and started to put it on. I called my doctor and he was out of the country. Ouch! So got his on call doctor and he knew my case as having it previous to 5 times was not the norm in their practice. He called in the Famciclovir 500mg 1 every 8 hours for 7 days. I had gotten on this back in June so knew it was good to help it in real time. Also got a new tube of the 1% Cream. You want to get the 80g tube as it is the largest and not get those tiny tubes as you will have to have the small ones refilled and refilled. The 80g 1% cream you should be ok with 1 refill on the px so you can order it after days of having the 1st one filled. You do not want to run out of the 1% cream. The Shingles Rash moved fast the night I got the px’s at the drug store. It had appeared up and down my left side and over my shoulder on that side and then appeared on my right side just below the left front of the shoulder. Thankfully no Shingles Rash near my eyes. 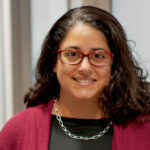 Any studies of the vaccine effectiveness and efficacy on immunocompromised patients who are more prone to shingles than the general population? I suffered a severe second shingles attack, now, over a year ago that struck the right side of my head/face. After a month of debilitating pain I was left with a chronic, posthepatic neuralga. I still feel the afffects long after the initial attack. I assume the shinles -zoester virus has went back to the place it resides. The neuralga of the face is the after affect/trauma. But, my question for me and other chronic sufferers is this: As the shingles shot can help reduce future attacks and their severity, CAN I NOW,SAFELY, HAVE THE SHINGLES SHOT WHILE STILL SUFFERING THE CHRONIC EFFECTS OF THE EARLIER ATTACK? I AM FEARFUL OF AGGRIVATING THE VIRUS AND EXPERIENCING MORE/TERRIBLE EFFECTS. MY GENERAL DOCTOR SAYS YES, PHARMACISTS SAY NO. WHAT CAN I SAFELY DO? I very much appreciate some expert advise on this matter from any medical professionals, thank you. There is a vaccine against shingles, called Zostavax that is made by Merck. I turned 50 and for my B’day I came down with a rash on my right side. I 1st thought it was a heat rash. The next day I had more rash appearing and the 3rd day I had tiny small white spots like tiny zits in the rashes. It had become painful and itched over the top. I called my doctor and he saw me that day. He knew right off the bat it was Shingles. Yes I had Chicken Pox as a child. He told me the 72 hours to go on medication for the Shingles had passed. So I had to go on Pretazone pills (Steroid Base) and 1% Triamcinolone Acetonide Cream, a white color cream. The combo of the 7 days of pills and 1% cream was a huge help. It took me weeks to get over. The next time I got it was just over 1 year later. I went through the same treatment and this time I got the Post Pain after. OMG that was over the top and it has never gone away. Each time I got it I thought it was a heat rash and by the time period to have it treated went past the time to take the Viral Medication. You just do not have Shingles on the agenda to think it is what is causing the rash at 1st. The 3rd time I got it was about 1 1/2 years later. That time was over the top again and it hit both sides. The 1% cream is a life saving for the itch and pain and spread. The 4th time I got it was just over 1 year later. I had it on my right side and got the same treatment. The 5th time was 2 years later this past June. It had gone to the right and left side and an area on my left temple just off from my left eye. I had read if the Shingles gets in your eye it can cause bindness and if it was untreated into your eye into your brain and then death. So it is never something you ever mess with thinking it is ok to ignore. I have never ignored it. After the 5th time it went into the Post Pain after and this time it was way over the top of the previous time the Post Pain set in. This time the pain was so over the top it feels 24/7 like the skin on my right side is tight and a rib is broken feeling. That is the best way I can explain how the pain feels. My doctor this time said I needed to get the Shingle Virus Shot. After having it 5 times I was ready for anything but had questions as I have no Spleen. After a few weeks working with the CDC I was approved and got the shot in September of this year. They do not allow anyone just under 60 to just beable to get the shot without showing a cronic condition of Shingles to get the Virus Shot. 60 and after and no issue to get the Virus Shot. There is a saying when you get the shot, “they want to see the whites of your eyes when they give you the shot”. This is due to the Virus Shot comes frozen and it has a shelf life of 1/2 hour after it is defrosted. So you have to be there to get the shot in real time. No messing around. I got the Virus Shot. I thought, this is great, I will never have Shingles again. So Wrong. Just 4 days ago I had 2 Silver Dollar Bright Red Spots on my lower left side just above my waist. You always first think, ‘heat rash’. Then as the night goes on and morning arrives the rash is itching and starts to be a bit painful. By that following night and into the next morning you are doubled over with pain and the itch is over the top. I was thankful I had about 1/8th of a tube of the 1% Cream left from June and started to put it on. I called my doctor and he was out of the country. Ouch! So got his on call doctor and he knew my case as having it previous to 5 times was not the norm in their practice. He called in the Famciclovir 500mg 1 every 8 hours for 7 days. I had gotten on this back in June so knew it was good to help it in real time. Also got a new tube of the 1% Cream. You want to get the 80g tube as it is the largest and not get those tiny tubes as you will have to have the small ones refilled and refilled. The 80g 1% cream you should be ok with 1 refill on the px so you can order it after days of having the 1st one filled. You do not want to run out of the 1% cream. The Shingles Rash moved fast the night I got the px’s at the drug store. It had appeared up and down my left side and over my shoulder on that side and then appeared on my right side just below the left front of the shoulder. Thankfully no Shingles Rash near my eyes. I think I could handle any Shingles Rash on any part of the right or left or on my front but not near the eyes. Once near my eye and thats enough. So much for the Virus Shingle Shot. What I had thought was a nightmare of Shingles to have had 5 times and to never get again because I got the Shingles Virus Shot proved to be phony medical. I think the Px Companies are making out like bandets. This Virus Shingle Shot is a hoax. This outbreak of Shingles this time is the worst. The pain is so over the top and the rash is the worst I have ever had. I feel the Virus Shot did not do a thing but I feel it has had something to do with getting a worst case of Shingles than I had to deal with before. I feel the Phamarcy Companies will put anything out there to make the Billions $$$. They sell their Tonic Water as the cure all. What my doctor was never told until after I got the Shingles Virus Shot and got it this 6th time was it was not 100% Cure to ever get the Shingles again. They never told me before I could get the Shingles again even thought I was getting the Shingles Virus Shot. There was nothing on the Internet nor in any medical journals as I researched and my doctor did also. So having to go through another Shingles outbreak and on the Viral Medication and 1% Cream is the only medicine I find to make any difference. I was just told that I fall into the 1% range of getting Shingles over and over again. I do not want to look to the future of getting the Shingles over and over again. It took a lot of time and prep to read about the Shingles Virus Shot. I was given peace of mind and security I would finally never go through the pain and danger of Shingles ever again. Now it is a few minutes to take my medication I am taking every 8 hours and to put on more 1% cream. The Famciclovir 500mg cost $274.99 for a 21 pill 7 day px and the 1% Cream cost $34.99 for one tube of 80g size. So this is not a cheap disease to live with. Add the Doctors visit charge and follow up visit after I am over taking all the medication. If the Pharmacy Companies would like to make a real cure instead of Snake Oil Shots at $140.00 dollars a Virus Shot, they would be in an honest business then. I am thankful to have a very great doctor who spends time to study and know what to do. I feel he was really hoodwinked by the CDC and the Pharmacy Company that said this Shingles Virus Shot was the cure all. I know he said he would not subject anyone else getting the Virus Shot. I keep hope alive that I will never get the Shingles again. It takes 5 weeks from start of the Shingles to the end of the period of having it. Something else is if you need to have any kind of surgery you can not have this if you are going through Shingles. I was to have Oral Surgery this week and had to cancel this for 5 weeks. Even though you have infection you have to put this on hold. The Post Pain lives with me for ever. I am now concerned to how many times can I take the Viral Medication and it still work for me. All medications at some point have a shelf life in how your body responds. I can never again feel at peace to think this is now the last time I will ever have Shingles. Why when we were kids and got the Chicken Pox’s they could not tell us one day you will have Shingles and have Shingles and have Shingles. I know, back then they surely did not know but they knew years later it could happen to anyone that had had Chicken Pox’s as a kid. One thing also, if you have an Active Case of Shingles in the first several days, make sure you do not expose yourself to anyone that has not had the Chicken Pox’s as a child. An Adult can get Chicken Pox’s if they never had it as a child. This is so very dangerous to get Adult Chicken Pox’s. I had shingles at 25. Rash on my waistline and pain lasted about 3 months. Got shingles again at age 50 on one shoulder and across the chest. Took acyclovir and it lasted only two weeks. My insurance company recently offered the vaccination for people over 55 for $25 and over 60 for free. My internist suggested getting it to avoid another occurrence. I did. Hope it works. I’m 48 and have never been a sickly person, tho overweight, I stay fairly active with my work and at home. I have never had so much as the flu and rarely have gotten sick. BUT I have had shingles at least 10 times in the past 3.5 years. Dr. thought it was or might be something else, took blood samples and I never heard from the results after calling them back several times. All I know is we know our bodies and there is no doubt in my mind that this occured from stress. Nothing less. At the time of my first outbreak, and for the next couple of years I was under a tremendous amount of stress with things that all hit me at once and over and over. I have not had an outbreak in about 10 months (KOW) and hope I never do again. Also I began to notice that each outbreak came on just as my period did. As if it were a weakened point for my system, so it attacked me then. I am working through my stress well as time does help. Just thought this might help someone. Most of the Drs don’t seem to want to get to the bottom of anything. So sad. But thats another story. I am a 52 year old pharmacist recovering from shingles in C2-4 dermatomes (lower face, scalp, neck & shoulders). Fast resolution of acute phase, Valtrex stopped blisters progression immediately. Currently Day 28 and for last 2 weeks+ experiencing nasty PHN. Traditional pain relievers (Percocet/tramadol) worked fine in acute phase, but are noticeably less effective in PHN. Lyrica or similar meds are required, in adequate doses. Received dorsal ganglia nerve root block to stop constant burning pain. Modest but important improvement the first day, but may take 2-5 days for full effect. On the recommendation of every MD I work with, plus my family doc, once recovered I will get the Zostavax vaccine to reduce the likelihood of this happening again. The Truth for using Zostavax like this: not yet proven, reasonable to belive it might help, won’t hurt. I will take every precaution to never let this nasty virus come out again. I have discovered that some MD’s provide the vaccine after a patient has contracted it while others do not. Any comments re this would be greatly appreciated. I had shingles in January of this year; very painful but fortunately reacted well to the medication. The comment involves the doctor who basically treated me as an idiot when I asked about the vaccine at the followup appointment, telling me I just had the best immunization against by having it. Made sense but didn’t like his manner so changed doctors. That doctor said I should absolutely have the vaccine and was very surprised at what the previous doctor had said. Told me to look online; I did and frankly, rather appears the boorish doctor was more correct but maybe I just haven’t looked enough. No shots for me until I know more. i got shingles 17 dec 2008. funny that i burned myself in the shower the day before so i thought that i had a really bad burn when i went to the doctor. he gave me neosporin & some pain med. the next day i had an atrocious rash on my L/h chest, shoulder and back up into the hair on my neck with atrocious pain.after two weeks more or less the rash left me but the pain in my chest is still with me 2 1/2 years later. i have always had a small rash along my spine below my neck where i guess the virus sits. the pain is getting a little bad and rash is breaking open so iguess i’m headed into a 2nd trial. have mercy on me. Great Website. Medicare coverage for shingles vaccine is spotty at best. I thought most viral diseases attack once only. Medicare coverage for shingles vaccine is spotty at best. We have been working with seniors who have had more problems than not dealing with the system to try and get this covered. I’m only 38 and have had shingles around 6 times within the last year and a half. I’ve been tested multiple times for everything and am perfectly healthy but for the shingles outbreaks around every 3 mos or so. It always comes back to the exact same place on my right hand. I’m a vegetarian who exercises and practices yoga regularly and also have a low stress job. I really don’t get it! I’m going to talk to my Dr. about the vaccine on my next visit. My hand is now severely scarred. Tell the people that are getting in your face to get lost. Not worth going through another set back. I’ve had them 6 times in less than two years. You can search the internet and find other cases. After 3 times I stopped going to the doctor for it. I am getting the vaccine after 8 weeks are up from my recent outbreak. Mine are mild and always in the same spot. I thought most viral diseases attack once only. Dint know shingles can affect a person twice. Is it possible to prevent second attack of shingles?